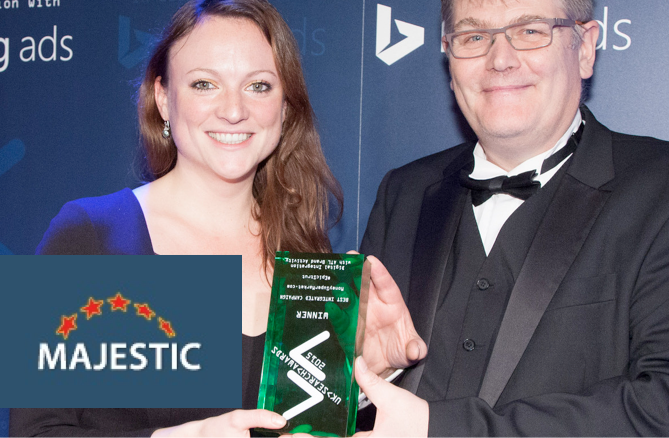 We were thrilled to win at the UK Search Awards last week for best innovation in Search Technology. In the near future we will be getting a really good blog post out as to what we entered and why the judges thought we deserved to win but in the meantime, we would like to both congratulate Money Supermarket and apologize at the same time. You probably can’t see it from the last stills of that awesome rendition of “Happy Birthday”, but Paul Madden sent through a close up! First off congrats and second lol that’ s funny, bright lights awards and a couple of 100 people staring right at you would tend to distract the best of us. Congratulations, that is a really funny moment.